With its easy accessibility to many key attractions, OYO 8430 Absin Hospitality in Noida offers you the best services, experience and comfort at affordable rates. The property is well maintained by a trained and skillful OYO staff who ensure all your needs are catered to. 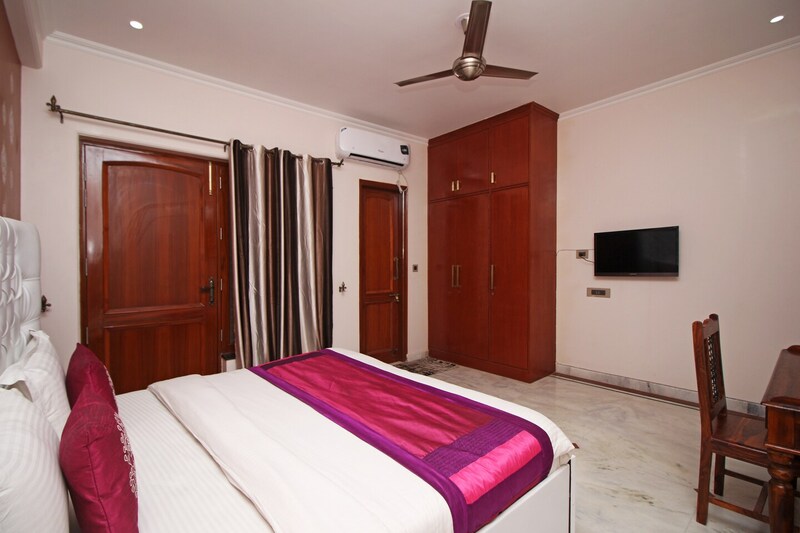 Our rooms are tastefully furnished and offer amenities like AC, Geyser and a lot more. We also have a 24-hour helpdesk to offer assistance to the guests at any time. Head out to visit the key attractions of Noida like Buddh International Circuit. There is Yes Bank ATM, ICICI BANK ATM and Andhra Bank ATM nearby the hotel so you are never out of cash.